At St Mary Abbot’s School these values are reinforced regularly in the ways outlined below. 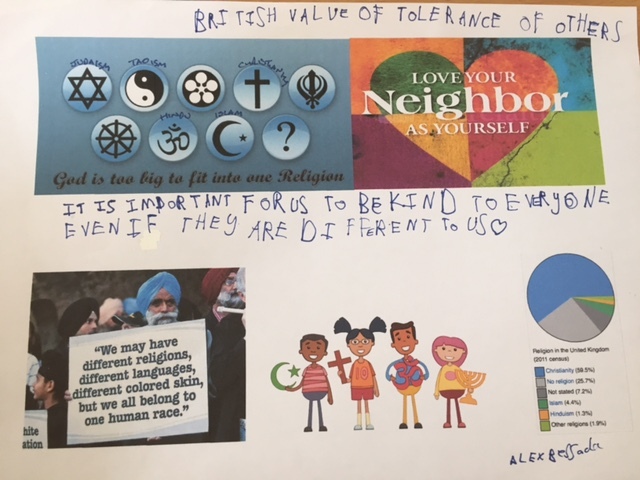 Click here to see some posters the children have designed on these values. Each year all of the classes are encouraged to participate in establishing and agreeing their own class charter. The children listen to each other’s views and have their say. Pupils from Year 2 upwards are actively encouraged to stand for membership of the School Council. Pupils have to explain why they should be elected and what they would hope to achieve as a School Council Representative. The pupils are elected by their own class members in a secret ballot. Human Rights Speech from Knickerbockerglory TV on Vimeo. The School Council members meet every fortnight with the Deputy Headteacher to discuss and agree issues areas for development and any charity to support. In the summer term, representatives from the School Council attend a Governor’s meeting to inform the Governors what has been achieved and to outline any project where they may require funding. The Governors ask questions about their achievements over the year and listen to any new projects. 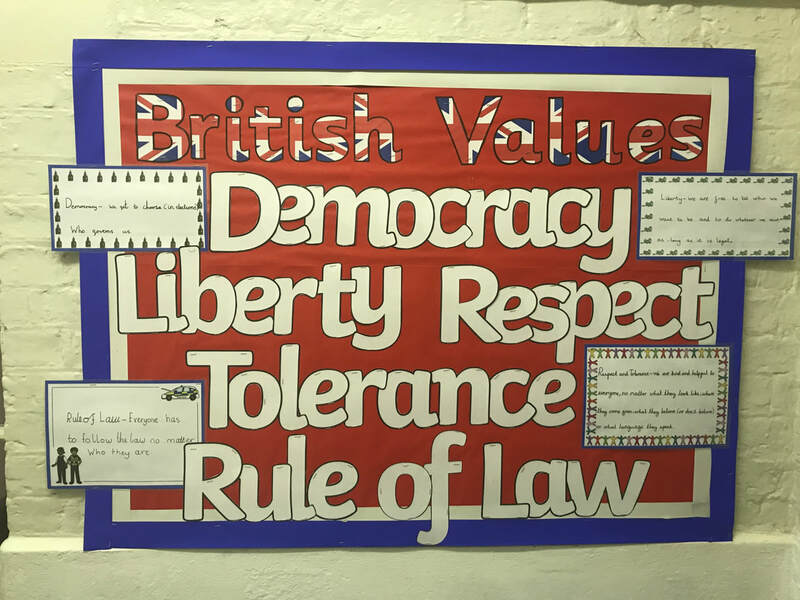 The importance of the law and rules that govern the country are discussed with the pupils and consistently reinforced throughout the school day. Pupils are taught the value and reason behind laws that govern our school and country: those laws protect and carry responsibilities with consequences if they are broken. Visits to the Life Education Mobile Classroom in the autumn term help to reinforce this. Within the safety and support of our school community, pupils are encouraged to make choices. We provide clear boundaries of what our expectations and pupils are encouraged to understand their rights and those of others, personal freedom and are taught how to exercise these rights safely through e-safety and PSHCE (Personal, social, Health, citizenship Education) lessons. On Fridays, we have a ‘celebration of achievement’ assembly where an individual’s achievement both in school or out of school are valued and acknowledged. All members of our school community are expected to treat each other with respect, listening to the views of others and celebrating diversity. We are fortunate in that we live in a country where the majority of people care about the wellbeing of others, where injustice and cruelty to others appals and where people can be stirred to be compassionate and generous in their support for a good cause. Our School Council members choose a different charity to support on a regular basis and a fundraising activity which is communicated to the whole school. The children in Year 5 & 6 are encouraged to watch News round and find out what is happening in the world at large. Often, the pupils are then compelled to act upon some item that has moved them. 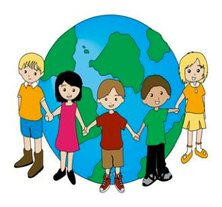 The school is situated in an area of great wealth, culture and diversity. This is harnessed and developed to ensure that the children experience it and it is promoted within the school community. Our RE policy and SMSC policy reinforces this. Assemblies are led by all members of the school community and address this issue through stories, role play and celebrations from a variety of cultures and faiths. Tolerance and respect are promoted and upheld. Children visit places of worship that reflect the different faiths in our society. At St Mary Abbot’s School we challenge those pupils, staff and parents who express opinions contrary to fundamental values, including ‘extremist views.’ All bullying and racist incidents are reported and appropriately dealt with following the school’s Anti-bullying and Racial Equality Procedures.